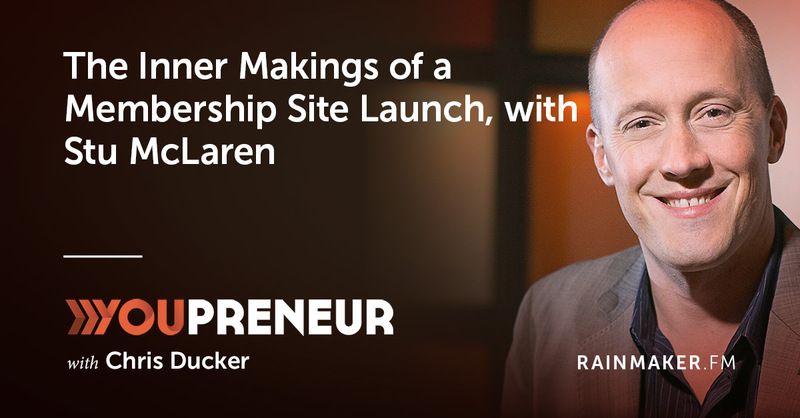 In this episode of Youpreneur FM, Chris and Stu go into membership site launches, what kind you should consider using and how to keep your site going. They also dive into the details of launching, managing, and marketing your own membership site. Once you’ve decided to take that next big step and create your own membership site, where do you start? What kind of membership should you go for and how do you envision running it on a day-to-day basis? Stu McLaren, founder of WishList Member and an expert when it comes to the membership-based business model, joins the show to answer all these questions as we go into the details of launching, marketing, and managing a membership site. Stay tuned as we discuss the pros and cons of open and closed membership strategies, how to off-set churn, and the kind of flexibility membership offers entrepreneurs. Stu also shares the one misconception most people have about membership sites and why he believes it is the best business model anybody can adopt in their business. This episode delivers the goods for anyone interested in setting up their own membership site or even just learning new marketing strategies to help them in their businesses, so sit back, listen, in and enjoy!